Once upon a time, Kane was Seth Rollins’ bodyguard, backup and Director of Operations. 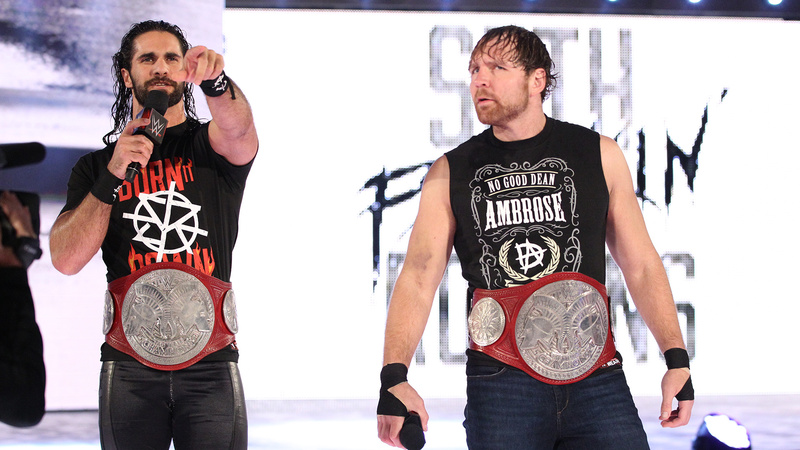 These days, he’s Rollins’ tormentor. 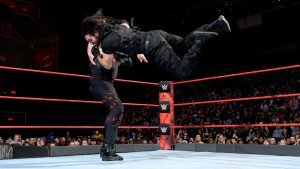 Minutes after ruthlessly attacking SmackDown General Manager Daniel Bryan (another former ally), The Devil’s Favorite Demon showed no mercy to Rollins in a singles bout on Raw. Kane all but shut out The Kingslayer’s offense save for a late stretch that stymied The Big Red Machine momentarily, or at least until Cesaro & Sheamus jumped Dean Ambrose at ringside, causing Rollins to take his eye off the ball. 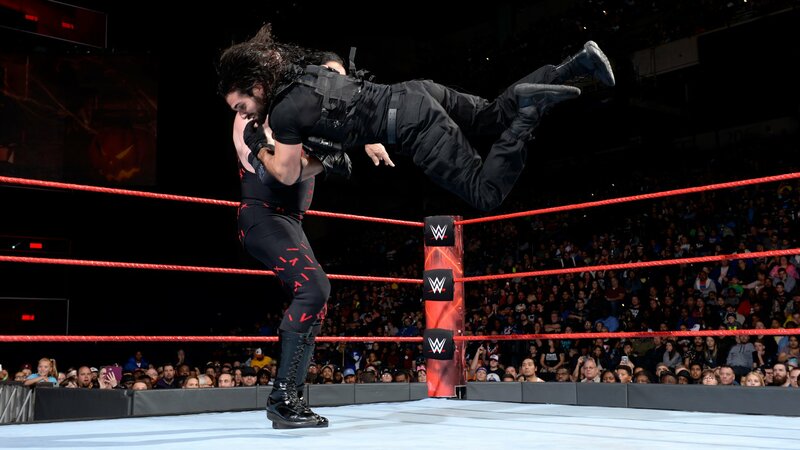 The Architect paid for his distraction with a Chokeslam that cost him the match, and a 3-on-2 assault of The Shield by Kane and The Bar nearly cost him much more than that, as The Big Red Machine administered a ruthless Tombstone to Ambrose. When Rollins attempted to crawl atop his partner to protect him, The Devil’s Favorite Demon Tombstoned him as well.